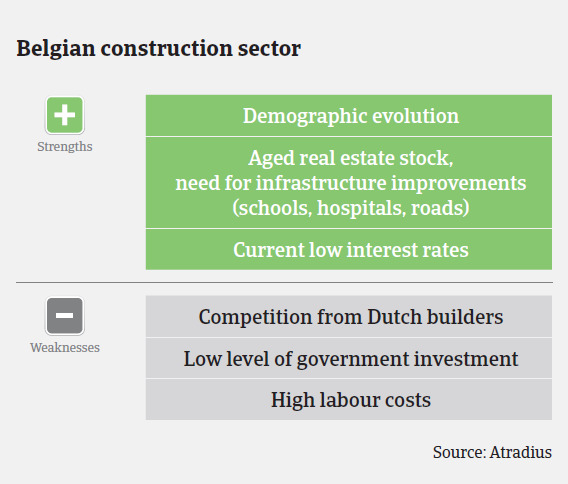 The Belgian construction sector has gone through difficult times since mid-2012, and this continued in 2014. There is still no real rebound in sight, with poor demand, job losses, on-going pressure on prices and a high number of insolvencies. 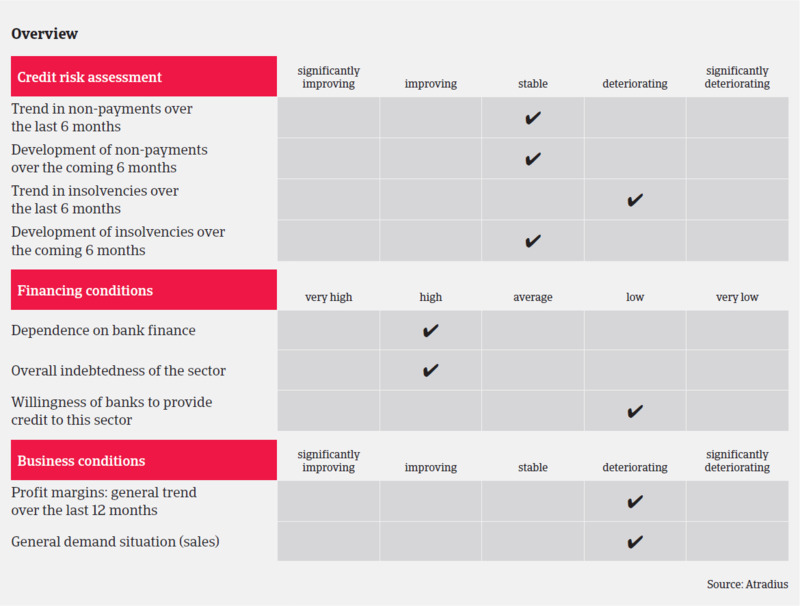 Banks are still cautious when providing credit to the industry. The time horizon of construction businesses´ order books has become much shorter, as customers tend to delay their investment decisions – impacting business volumes even when the order portfolio seems to be sufficient. The only good news in 2014 was that business was aided by favourable weather conditions at the beginning of the year. After a 1.3% contraction in 2013 construction is expected to have grown 2% in 2014, but this is forecast to be followed by zero growth in 2015. Prospects for the renovation business are – as in previous years – slightly more positive. In the residential subsector the number of building permits was up in the first half of 2014 as many households had filed requests before the end of 2013 in order to avoid stricter energy regulations. However, this one-off effect faded by May, and resulted in a lower than usual level of permits in H2 of 2014. The planned downward adjustment of tax incentives for house ownership (‘Woonbonus’) should have a supporting impact on the subsector´s performance in 2015. Therefore, the short-term perspectives for residential construction should not be that bad. However, in the medium and long term residential construction could be impacted by the decreasing ability of households to finance new houses (due to stricter energy regulations, lower fiscal advantages, and more restrictive bank lending). The subsector will probably need to address this issue by offering less expensive and more compact alternatives. In the new non-residential construction sector we have noticed a year-on-year increase in the number of permits in the period September 2013-September 2014, but a decrease in volumes in 2014. The non-residential renovation business recorded a downward trend with primarily construction businesses working for local governments (mostly road works) facing decreasing order books. Payment terms of “60 days end of month” are very common in the sector. Recently we have been informed that certain buyers have even adjusted them unilaterally to “90 days end of month”. Cash payments with discounts are common. It is also common that businesses ask suppliers for longer payment terms if they themselves are waiting for overdue payment, e.g. from public bodies with their lengthy payment procedures. Overall, we observed an increase in payment delays in 2014. Given the difficult market conditions the number and amount of notifications of non-payments is expected to remain high. In 2014, 2,036 construction companies went insolvent: a 4.2% year-on-year decrease. 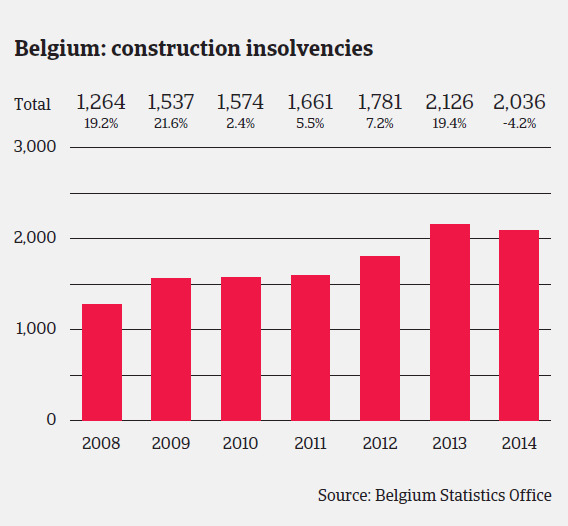 Construction accounted for 18% of all Belgian business insolvencies. We expect no major improvement in this situation in 2015. That said, our prudent underwriting stance should allow us to maintain our current level of engagement.